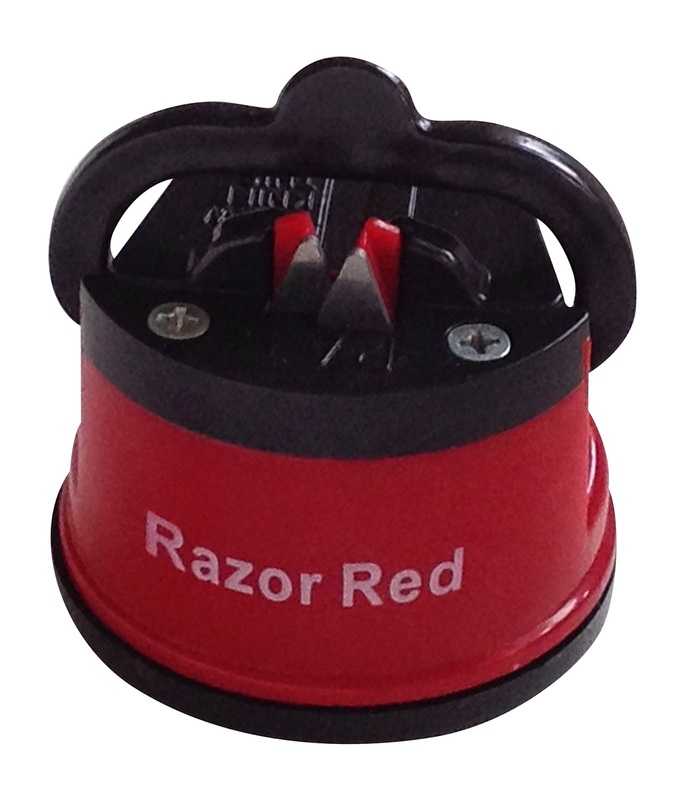 knife sharpener! My husband is a boy scout leader and every year teaches knife safety to our boy scout troops. so needless to say the hubby can be hard to please. He was so impressed with the ease of use that the Razor Red provided. None of our boy scouts had any issues using it. I guess you could say it is so easy a child could do it-WITH ADULT SUPERVISION! All of my household knives are like new! 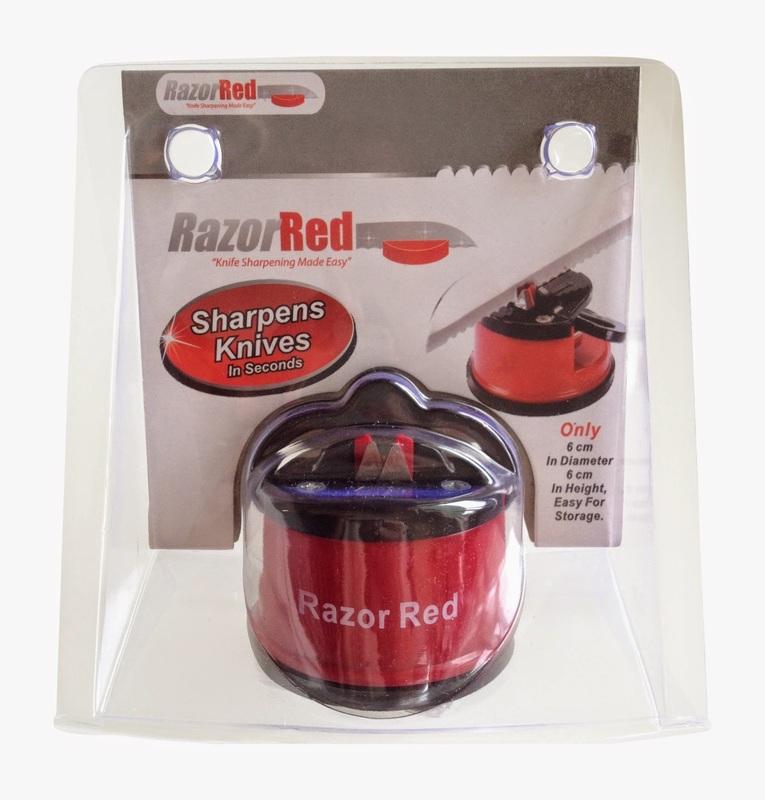 and i love the fact that the sharpener is compact and easy to store when not in use. Changes Blunt Old Knives into Just Like New - No Need to Buy New Knives! Use on Kitchen Cutlery, Gardening Shears and even Lawnmower Blades!